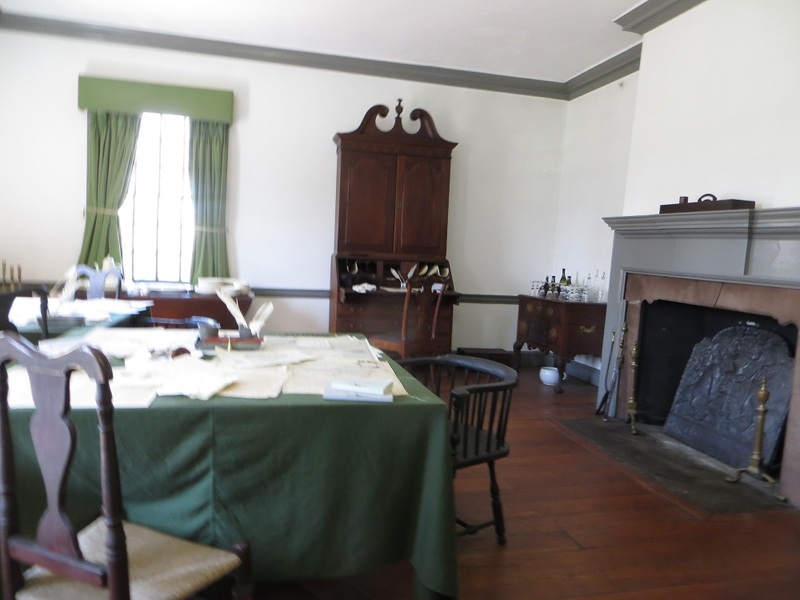 ← George Washington Slept Here. Really. 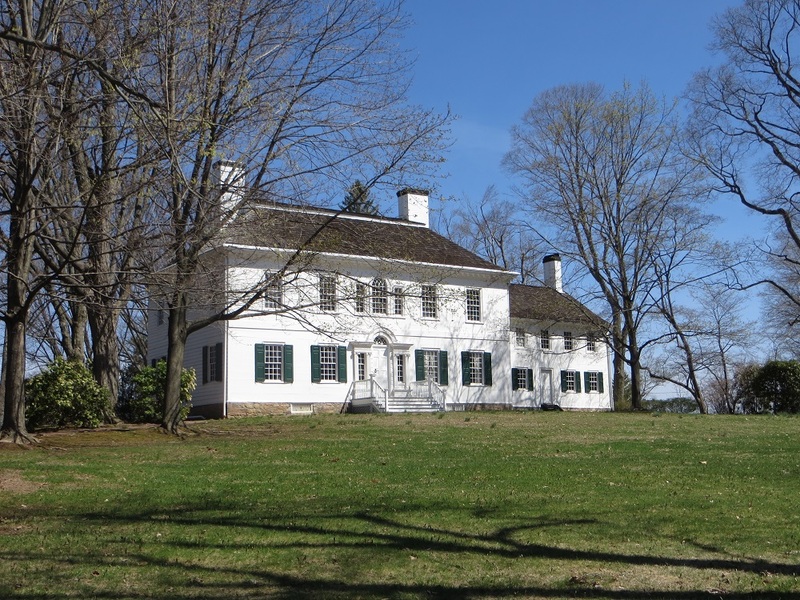 The nicest house in Morristown, New Jersey in 1779 was a Georgian mansion owned by the widow of Jacob Ford, Jr., an iron mine owner and gun powder manufacturer. And it was in Ford Mansion that George Washington made his headquarters during the Continental Army’s winter encampment of 1779-1780. For various reasons — lack of supplies being the major among them — there (generally) was no fighting in the winter (yes, yes, I know — the Battle of Trenton — fodder for another day) during the American Revolution. Both the British and the Continental armies hunkered down until summer, at locations strategically chosen to keep an eye on each other. 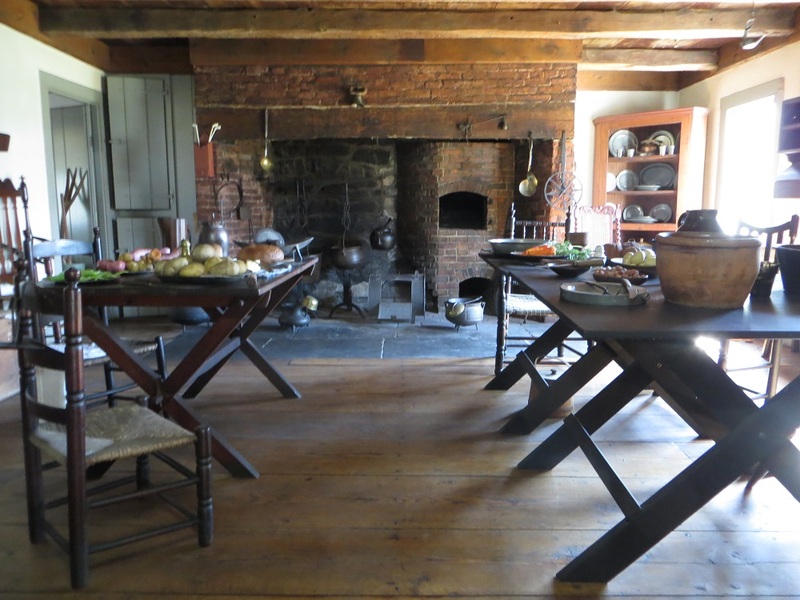 Mrs. Ford and her four children lived in the servants’ wing, while the Washingtons and five of the General’s aides occupied the main part of the house. And then there were the slaves. “Eighteen belong to my family, & all Mrs. Fords are crowded together in her Kitchen…,” Washington wrote to his Quartermaster General, Nathanael Greene. Washington ended up adding rooms to the house, as well as building log cabins nearby, to accommodate everyone. The house is now part of the Morristown National Historical Park. 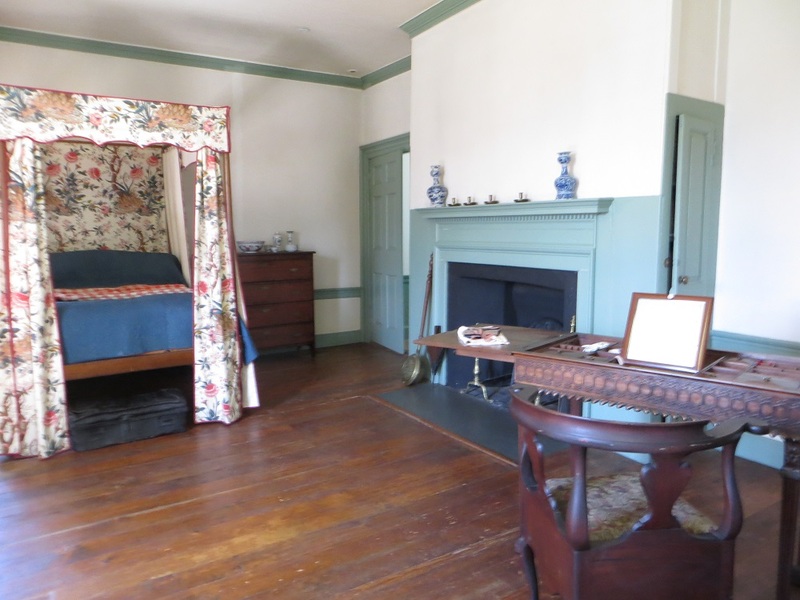 It is furnished with period pieces, with a few having belonged to the Fords. Also part of the park is the small but substantive Washington Headquarters Museum behind the house, and the 1500 acre Jockey Hollow, five miles south. Jockey Hollow is where the troops were camped, and it now has a visitor center, reconstructed soldiers’ cabins and miles of walking trails. Gallery | This entry was posted in New Jersey and tagged Jacob Ford, Morristown historic sites, Morristown National Historic Park. Bookmark the permalink. absolutely beautiful! I’ve heard about this house, but haven’t seen it. It really was gorgeous. What I wouldn’t give to live in a place like it. It is stunning – nice trade off for having to accommodate the military commander – a home expansion.